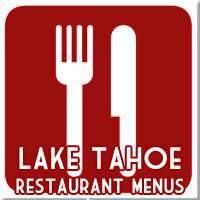 Our online menus are a great resource for people coming to visit the Lake Tahoe area. You can see exactly what is available at restaurants in and around the area, and you can get a fairly good idea as to expect when you arrive. When you’re in your hotel room and don’t feel like walking around trying to find the perfect place for the night, log on to your laptop and browse or use your smart phone to help you decide. Our Lake Tahoe restaurant guide is very handy. Finding the right establishment to fill your belly when you're starving can sometimes be tough when you're visiting a new place. Our Lake Tahoe restaurant menus help you solve the problem. you’re interested in while visiting a new place can be tough. There’s always numerous establishments offering similar faire, and picking the right place becomes a matter of luck. That is, unless you know ahead of time what they offer and what the prices are. The Lake Tahoe restaurant menus give you an incredible amount of power and flexibility when choosing a place to go for the night. Are you looking for a quick meal that won’t hurt your wallet? Are you trying to find a restaurant that’s kid friendly? You can often find out a lot about a restaurant just by looking at the pictures, seeing the description all to see which makes you salivate more. .
South Lake Tahoe is a whole other beast when it comes to food. The large hotels have multiple restaurants, and then there is the dining / bar scene. Here's what's cooking in the South Lake Tahoe Restaurants.